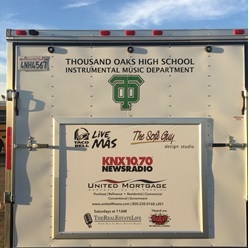 Did you ever want to see your company's calling card traveling down the highway on one of the TOHS Band trailers. Well, now you can realize your dreams. 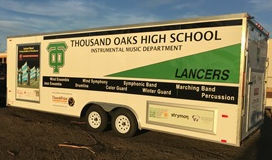 The Lancer Band is now offering exclusive sponsorship space on its trailers. See our trailer sponsor brochure for details. Our trailers travel more than 5000 miles in both the fall and spring semesters. They travel locally, throughout Southern California, in the western states, and occasionally across our nation. 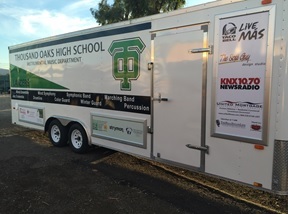 Your advertisement will be seen by thousands while parked locally, en route and during our 10-15 hour performance days at various high schools, colleges and business venues where we perform. THERE IS STILL TIME TO ADD YOUR LOGO! 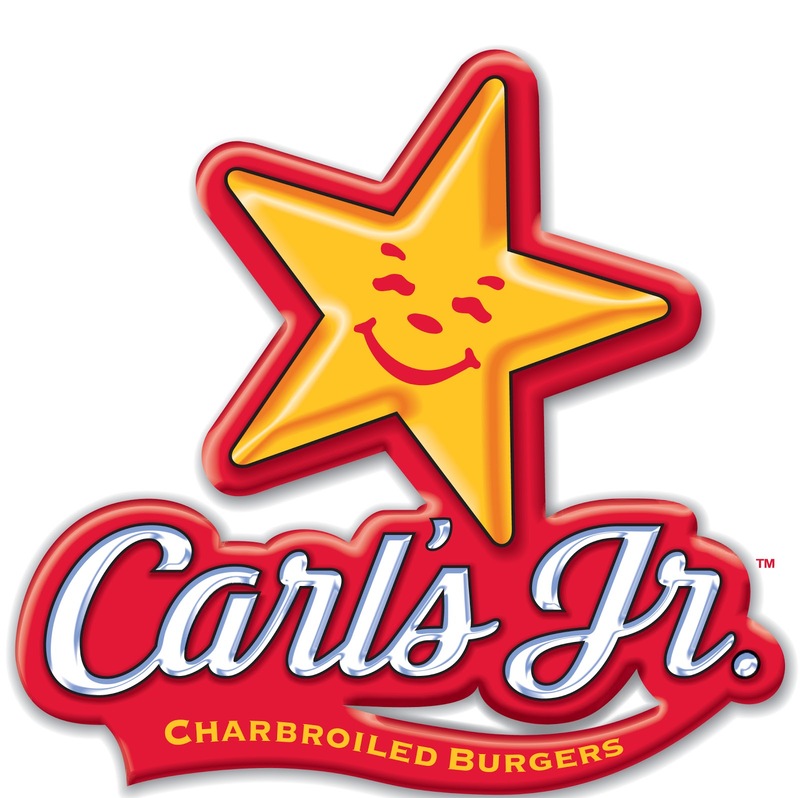 See our Sponsor Brochure to learn more about the benefits of being a Lancer Band Sponsor. Event Sponsorships are also available. Please see our Events Sponsor page for details.